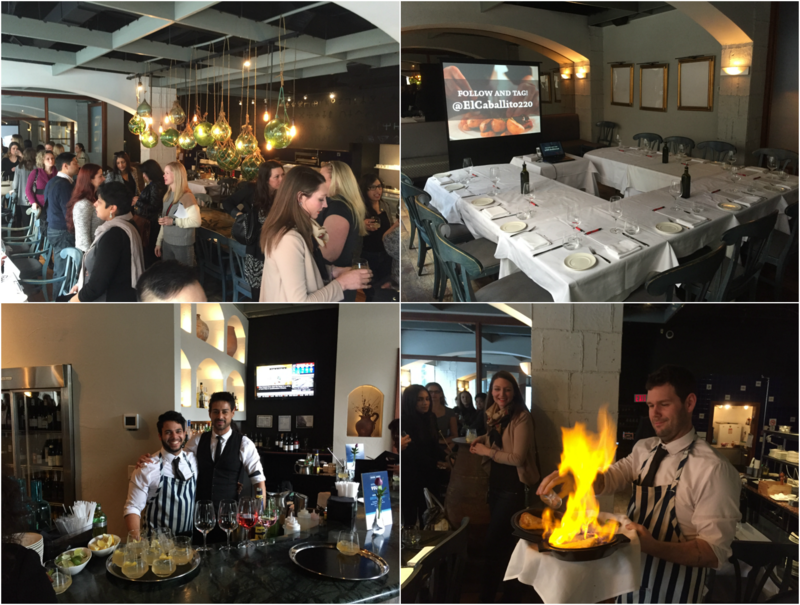 On Monday, February 29, Beacon Events held their Event Planner’s Showcase showing their four exquisite and diverse venues located in the heart Toronto. Over 200 business professionals attended in from the industries of marketing, events, media, bloggers, communications and public relations. The Beacon experience began at Estiatorio Volos, a contemporary Greek restaurant with fresh and healthy flavours inspired by traditional Mediterranean cuisine. Once arrived, we were greeted with a delectable cocktail with gin and Metaxa mixture paired with a lemon citrus blend. The signature dish featured was dolmades in a tzatziki sauce (stuffed grape leaves). Estiatorio Volos has a large celebration table that seats 12 people for a group dinner or a private dining space that seats up to 32 guests.​ The restaurant has an old time premier look and can cater up to 110 people seated and 150 standing. Our next stop on the showcase was Little Anthony’s (LA’s). Directly across from Volos, LA’s offers a relaxed atmosphere with soul-satisfying traditional Italian cuisine. A whiskey sweet Vermouth cocktail was served upon arrival with featured charcuterie boards, bruschetta and shrimp served in a lemon butter sauce. We found the private dining room seating 40 people is ideal for a company dinner or function. Large mirrors, big windows and gold, red, and white accents give Little Anthony’s an engaging and lively feel. 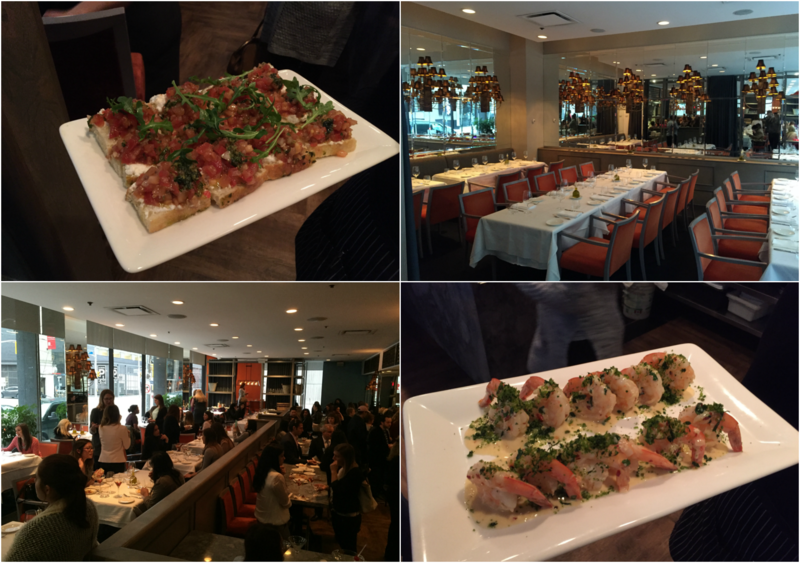 Our final stops on the Event Planner’s Showcase was Los Colibris and El Caballito. Located a few blocks up from the first stops, this two floor establishment offers two different unique restaurants and bars in each. Upstairs at Los Colibris, you’ll find an authentic upscale Mexican dining experience like no other. Their featured dishes include fresh grilled octopus and Camarones a la Diabla (deviled shrimp). The arched dining rooms give you the authentic Mexican feel from the 1900’s. The venue offers a darker, more intimate dining experience and is ideal for large parties up to 80 people standing and 56 seated in the private dining space. Downstairs in the same building is El Caballito, a tequila cantina that offers street style Mexican food that you can pair with one of their 64 different tequila options and a special tequila tasting room. They featured Elotes (Mexican street corn with cream) and Cochinita Tortas with pulled pork. The restaurant has intriguing Mexican vibes from the artwork to the rustic brick walls, making it the ideal place to throw your next fiesta up to 150 guests. For more information, or to book your event at one of these venues, please contact events@beacon22.com or visit www.beacon22.com .